Christian Bale has apologized for his expletive-filled rant on the set of "Terminator Salvation." The actor broke his silence during a phone interview on "The Kevin & Bean Show" on L.A.'s KROQ, saying, "I have no confusion whatsoever -- I was out of order, beyond belief." An audio tape of the 35-year-old's F-bomb laden tirade was published by TMZ earlier this week. Bale went off on the film's Director of Photography, Shane Hurlbut, who apparently walked behind co-star Bryce Dallas Howard, distracting Bale during a scene. "I acted like a punk. I regret that," he said. "There is nobody who has heard that tape that has been hit harder by it than me. It is inexcusable." Bale asked listeners not to let his rant affect their decision to see the film. "Please, I am asking people, do not allow my onetime lapse in judgment, my incredibly embarrassing meltdown, to overshadow this movie." He continued, "I am embarrassed by it, and I regret it. I ask everybody to sit down and asked themselves, 'Have they ever had a bad day and ever lost their temper and really regretted it immensely?'" "Terminator Salvation" crashes into theaters May 22. 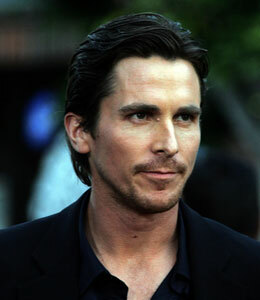 Share your opinion about Christian Bale -- join the conversation now!